Discover how to go to the right Source for lasting confidence. Insecurity is a struggle that countless women today can relate to. But contrary to what we are often told, building up our own self-esteem is not the solution to escaping the trap of comparison and self-doubt. True confidence doesn't come through self-focus, but through self-denial. Only when we encounter the Cross of Jesus Christ and let it transform every part of our existence can we truly discover the joy, peace, and courage that we long for. 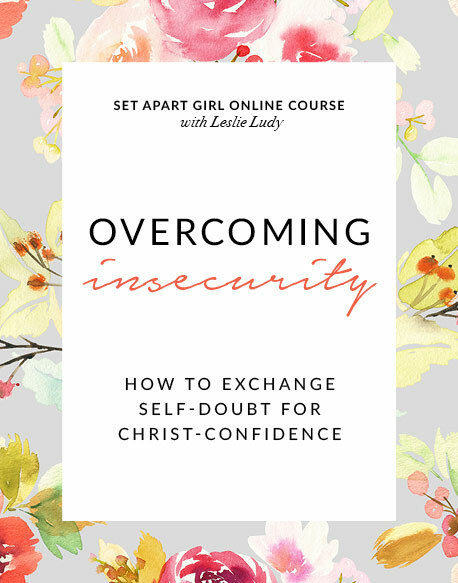 In this candid and practical course, Leslie offers biblical solutions to overcoming insecurity and teaches us how to go to the right Source for lasting confidence.